Two men have been ordered to pay fines totalling £3,030 for flytipping at a beauty spot. Christian Henderson, of Yealand Avenue in Heysham, and Michael James, of Broadway in Lancaster, were taken to court by Lancaster City Council as part of its Operation Peregrine initiative, which aims to crack down on fly-tipping and make those responsible pay for their actions. The court heard that in March 2018, the city council was called to deal with a large amount of household waste that had been fly-tipped at Warton Crag. The fly-tip included bin bags full of personal household paraphernalia and the doors of a caravan. A handwritten note containing a vehicle registration number was also found at the scene. Subsequent checks established that the vehicle referred to was registered to Michael James. James was interviewed about the fly-tip and admitted to being involved. 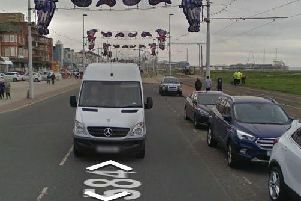 He told investigators that, along with Henderson, he had attended an address in Thornton, Cleveleys, to take away a caravan that belonged to a man who had recently died. His daughter wanted to dispose of the caravan and offered it to James and Henderson for free, on the condition they also disposed of its contents. They had intended to dismantle the caravan and sell the scrap metal, but had been unable to properly dispose of the personal effects it contained, so they instead decided to fly-tip it at Warton Crag. Henderson was subsequently interviewed and also admitted being involved. Both men pleaded guilty at court to an offence under s33(1)of the Environmental Protection Act 1990, in that they failed to properly dispose of controlled waste. Henderson and James were both fined £923 and ordered to £500 in costs and a £92 victim surcharge. Coun Brendan Hughes, Cabinet member with responsibility for Environmental Services, said: “Fly-tipping is a blight on our communities and the city council is doing all it can to stamp it out. “It is especially infuriating when it takes place at a rural beauty spot such as Warton Crag and there is simply no excuse. As part of its Operation Peregrine campaign, the council is urging residents and businesses wanting to make sure their waste is disposed of legitimately to think S.C.R.A.P. *Suspect all waste carriers. Don’t let them take your rubbish until they provide proof of registration. Note their vehicle’s registration plate. *Check that a waste carrier is registered on the Environment Agency’s website. *Refuse any unexpected offers to have your rubbish taken away. *Ask how your rubbish will be disposed of - seek evidence of this. *Paperwork must be obtained: a proper invoice, waste transfer note or receipt, including a description of the waste being removed and the waste carrier’s contact details. If you want to join in the battle against fly-tipping and can offer any information which might lead to an offender being identified and caught, call Lancaster City Council Customer Services on 01524 582491, email customerservices@lancaster.gov.uk or use the online reporting form at www.lancaster.gov.uk/fly-tipping.